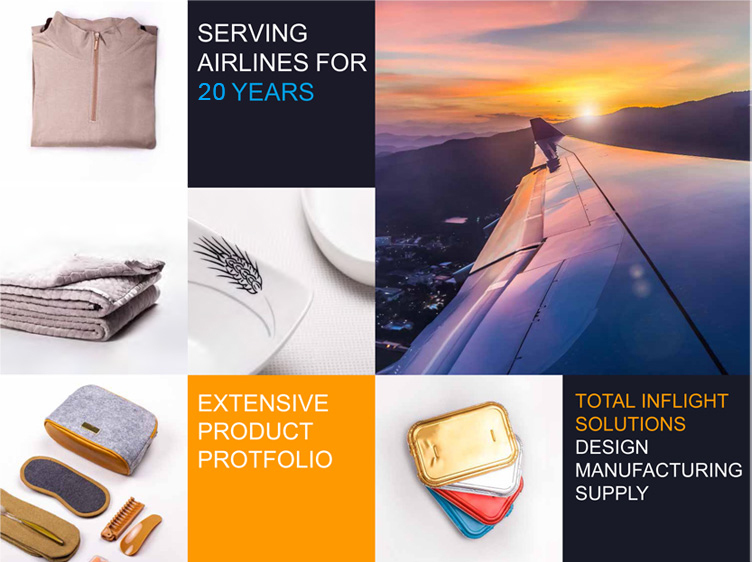 ZIBO RAINBOW is one of the earliest established companies with 20 YEARS experience supporting the airline industry in the design, manufacture and supply of in-flight products. The company is certified under ISO 9001:2008 Quality Management System. ZIBO RAINBOW has its own product supply chain,which mainly includes amenity kits, toiletries, sleeper suits, towels, blankets, bed linens, pillows, pillow cases, non-woven products, non-skid paper, airsickness bags, paper meal service packaging, food handbags, paper cups , plastic products (plastic trays, tableware, cup drawer), chinaware and glassware.